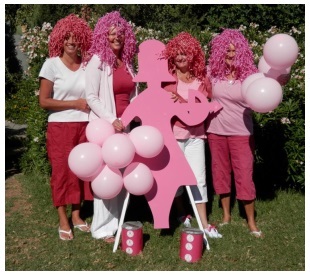 Friday 25th October is “Wear it Pink” day, an event which has been organised by Carole King and Sue Tilt in North Cyprus for Help Those with Cancer Association (Tulips). On the 25th, Cafe George will be running a raffle where the public have a chance of winning some money collected throughout the day whilst the remaining money raised will be donated to Tulips, this will start at lunchtime and the draw will take place during the evening. During the evening if anyone arrives with no pink on show they will be fined 10TL however a little pink on show will only cost you 5TL. 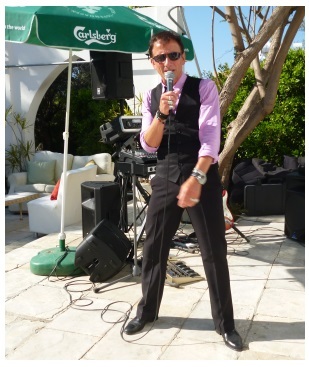 On the 26th October, from 8pm Billy J (from London) will be entertaining the customers. Having seen Billy J perform, you can be assured of a really good night. The same will apply – as for the 25th – if anyone arrives with no pink on show they will be fined 10TL however a little pink on show will only cost you 5TL. Carole and Sue are extremely grateful to Cafe George and their staff in getting behind their initiative and helping them to make the day and following days successful. Although not associated with the Pink Day, Carole and Sue would like to say a big “Thank You” to a friend of theirs, Julia Price, who recently celebrated her 75th birthday at Club Ilgaz, she was insistent that she did not want to receive any gifts and asked her guests to donate money to Tulips. Carole and Sue would like to take this opportunity to thank both Julia and her guests for raising an amazing 1,633TL on the night.